A masonary plaque high on the building gable records: Salvation - Army - Barracks - 1892. 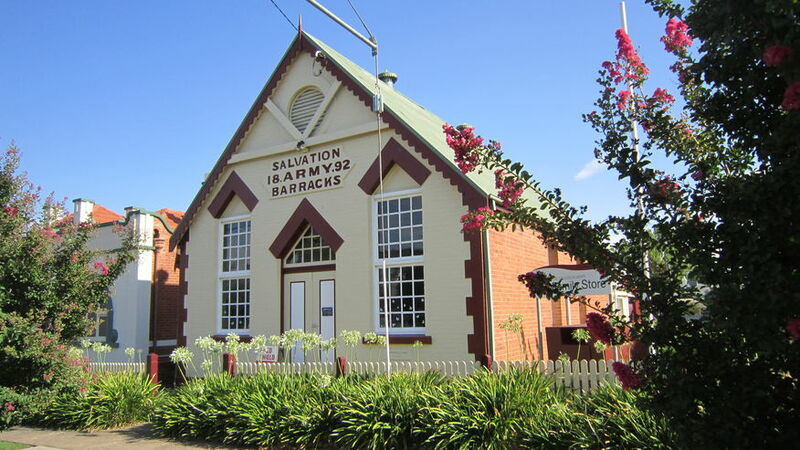 The former Salvation Army Barracks is now used as a Salvation Army Family Store. No other details are known about the former church. More historical information/photographs of the church/congregation are invited. Photographs uploaded 10/2/2018.